Bring back the Classic. Draw certain images, cast some light, rotate the disk, so there is the first motion picture ever in the world. The classic should never to be forgotten. 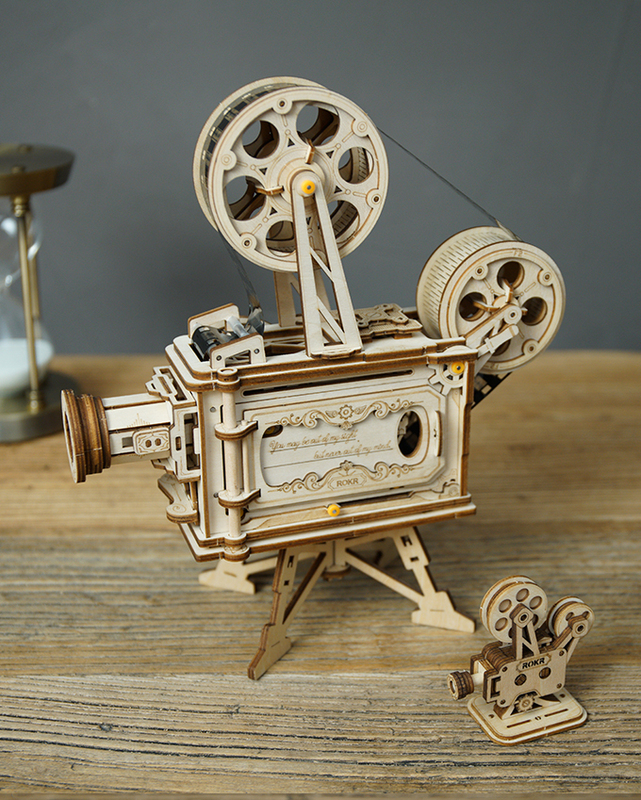 As the sixth product of ROKR LK series, LK601 Vitascope is at the same time the first BATTERY-FREE 3D WOODEN MODEL of vintage movie projector in the world. Driven by details and quality, LK601 continues to seek for more possibilities and feedbacks from our fans. Therefore LOKR has prepared the EARLY BIRDS BONUS for the first 100 orders, including a super special price and a ROKR limited-edition mini Vitascope! Let the LK601 Vitascope take you back to the old days when the screen is all black and white. There is so much fun owning a little cinema and projecting your own movie.In homage to the great era of classic motion picture, ROKR launches our fantastic LK601 Vitascope exclusively on kickstarter in March after a long preparation of experiment and improvement. From ideas to products, it took a year to get them off the ground. Every part and accessory –the base, the bulb, the outlook and the structure. LK601 Vitascope now has mostly been improved compared to the original version. Months of testing and adjusting combined with some tough choices enable LK601 Vitascope a better stability and a longer service life. And it is worthy to note that LK601 Vitascope, with such a unique vintage style, is more than just a DIY wooden model since it can project movies for real! Even the width of films has gone through several generations in order to make the best scenes. Imagine switching to different customized films and wows by your own little cinema! 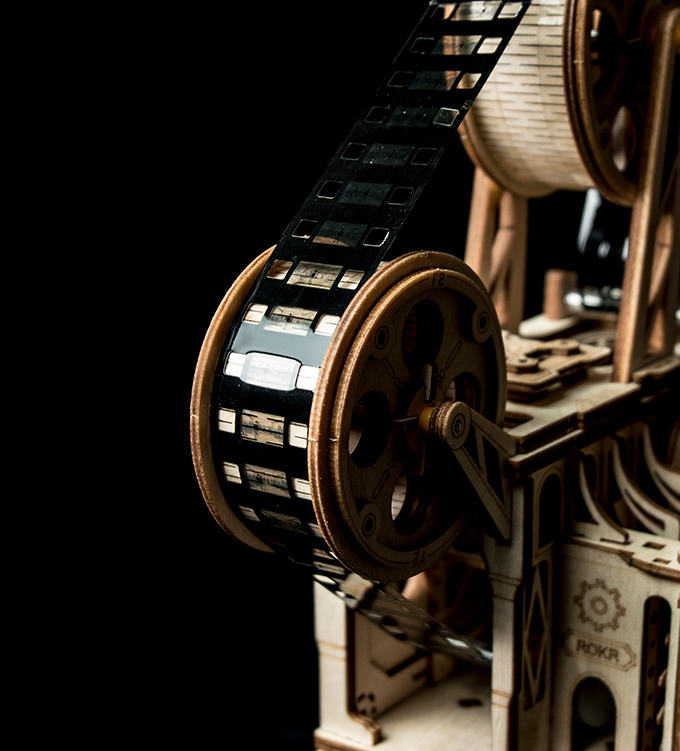 172 laser-cut wood pieces and assembly them without glue or battery, LK601 Vitascope is still a challenge for those who have played such puzzles a lot. It is designed to generate power all by a hand crank motor and absolute a handcraft pleasure for mechanical enthusiasts. For your special treats and entertainment. LK601 prepares a delicate door on one side of the projector. When you rotate the crank and the motor hums, open the door and enjoy the charm of whirly lights.